Ms. Maziarz principally represents and advises local government bodies and boards in a variety of areas including municipal law, zoning and land use law, redevelopment, and affordable housing. She is currently appointed as Planning Board Attorney for the Boroughs of Rocky Hill and Hightstown and for the Townships of East Windsor and Long Hill and is the Zoning Board of Adjustment Attorney for Long Hill Township. She is also appointed special counsel in affordable housing matters in East Windsor Township and Hightstown Borough and as land use counsel to the City of Asbury Park. Ms. Maziarz has represented both private and public clients before the New Jersey trial and appellate courts in diverse cases ranging from foreclosure to property line disputes to planning and zoning. Her practice also includes the representation of clients in residential and commercial real estate matters involving buying, selling, leasing and financing; various business and corporate matters such as business formation, preparation of various agreements, contract negotiation and litigation; collections; and landlord-tenant matters. Ms. Maziarz graduated from Hunter College of the City University of New York with a B.A. in English and holds a J.D. from Seton Hall University School of Law. She was admitted to practice law in New Jersey in 2006 and was admitted to practice law before the United States Court of Appeals for the Third Circuit in 2012. She is a member of the New Jersey State Bar Association, Land Use Law Section; the Somerset County Bar Association; and is a Trustee of the New Jersey Institute of Local Government Attorneys. In addition to her legal practice, Ms. Maziarz serves as Counsel to the Somerset County and Warren County Governing Officials Associations, which are nonprofit organizations that offer informational programs to elected and appointed officials regarding local, County and State issues. She received the Governing Official of the Year award in 2017 from the Somerset County Governing Officials Association for her service to the Association and to local government. 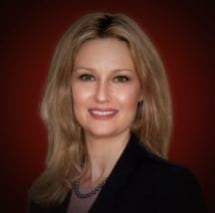 Ms. Maziarz has been appointed by the New Jersey State League of Municipalities Executive Board to serve as the Deputy Chairperson of the Land Use, Environment, and Community Development Legislative Subcommittee, which studies pending legislation to ascertain potential impacts on municipalities.